It’s hard to believe that 2 months have flown past so quickly! Please remember that all members must pay their subs or make arrangements with Rosa no later than the 28th February. As from the 1st March members who have not yet paid their membership fees are no longer regarded as members of DGC and their SAGA handicap cards will be frozen. 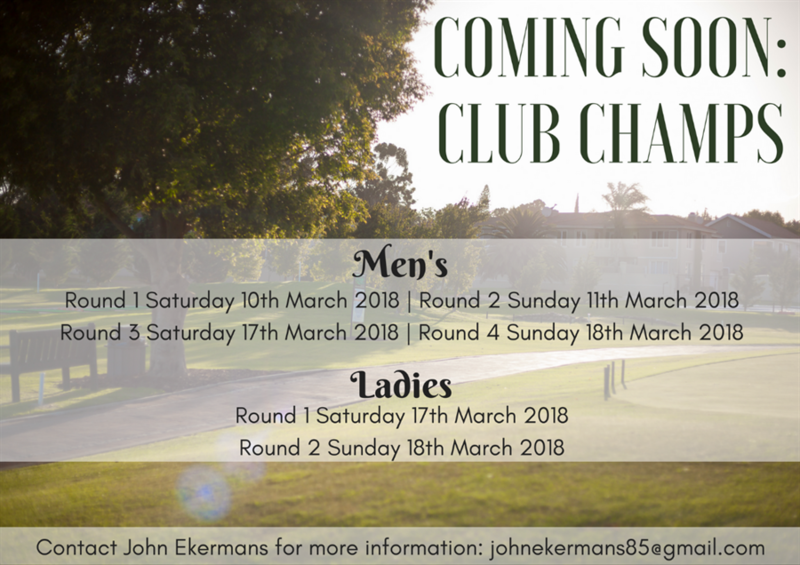 Club champs 2018 takes place over the weekends of the 10th, 11th & 17th, 18th of March and already we have many members who have entered. There are still a few places available so please put your names down to avoid disappointment. The continued drought in the Western Cape is having an awful effect on many golf courses in Cape Town. 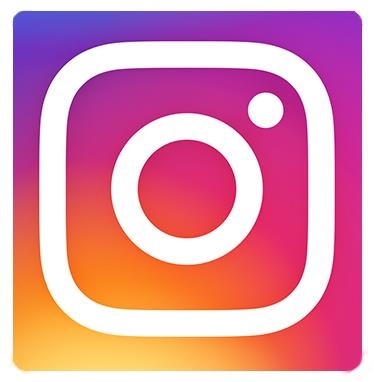 DGC has not been spared and Chris Kitson our greenkeeper has reduced our daily water supply down to +/- 500K Ltr per day watering fairways only twice a week. Due too many infrastructure problems at the Kraaifontein sewerage processing plant, we have not received any effluent into our dam the past 4 weeks. This is very worrying for the future and DGC has requested permission from COCT to drill an additional borehole near the clubhouse. We are hoping to connect this water to the clubhouse and feed “Uncle Dan’s Dam”. On a happier note I am very proud to announce that DGC made it into the top 100 courses in South Africa coming in at 97 as per the Golf Digest magazine. DGC continues to attract new membership and we have 40 new student members joining us in February alone. Good luck to all who are playing Club Champs! 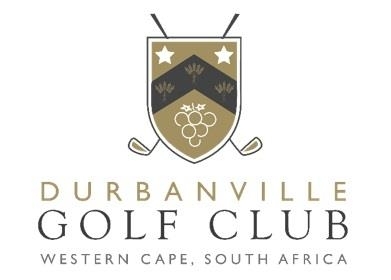 We started the year with the Durbanville Golf Club Valentines mixed, which was held on Sunday the 11th February 2018. Pam Golding has been sponsoring this event for the last 27 years and Laas & Scholtz, whom have been co-sponsors of this event for the last 9 years. 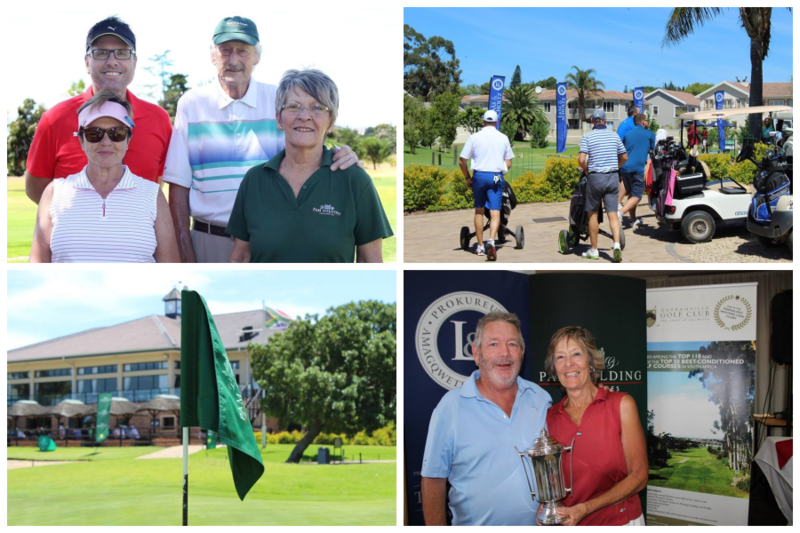 We had 114 players and the winners on the day were Tyna Swart and John Ekermans. 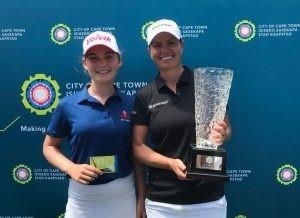 Jordan Rothman competed in the Cape Town Ladies Open at Royal Cape Golf Club on the 6th to 8th February 2018, she posted a 74 in her final round to tie for 20th on three-over and to finish as the low amateur, four shots ahead of Casandra Hall from Ekurhuleni. Andre Van Wyngaardt, Gert Strauss, Jan Horn, Suat Palanduz, Winston Heunis, Pieter Van Wyk, Nat Bickerstaff & Paul Du Toit. 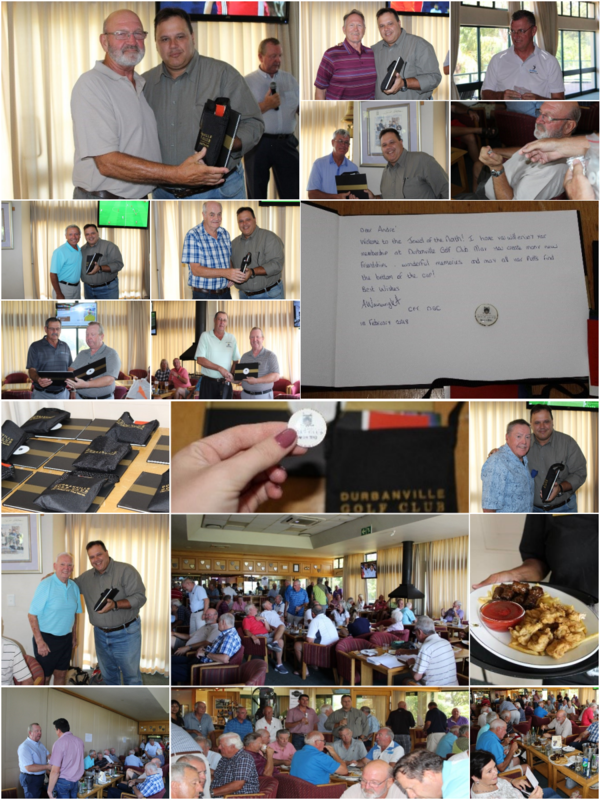 Our club captain Mr Andre Wainwright and our Senior society captain Allan Taylor were on hand to present each new member with a welcome pack of DGC paraphernalia along with a personalised copy of our Durbanville Golf Club history book. Andre went on to welcome all new members to the club and wished them many rounds of enjoyable golf at the “Jewel of the North”. He also expressed his support and the importance of strong society golf at DGC. The 60 or so gathered seniors and guests then enjoyed delicious luncheon snack platters from Alfie Schneeberger’s F&B Dept. The bar staff were kept very busy for a couple of hours. Our seniors ‘society continues to grow in numbers as more retirees are choosing DGC as their golfing home. They can now benefit from all those years of hard work building a career. All members and visitors over 50 years of age are welcome to come and join our seniors on most Monday, Wednesday & Friday mornings. No booking required. 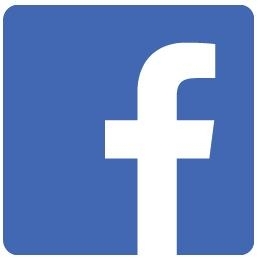 Just turn up before cut off at 07h30 and you will be entered into our competition. We look forward to welcoming many more new members during 2018. 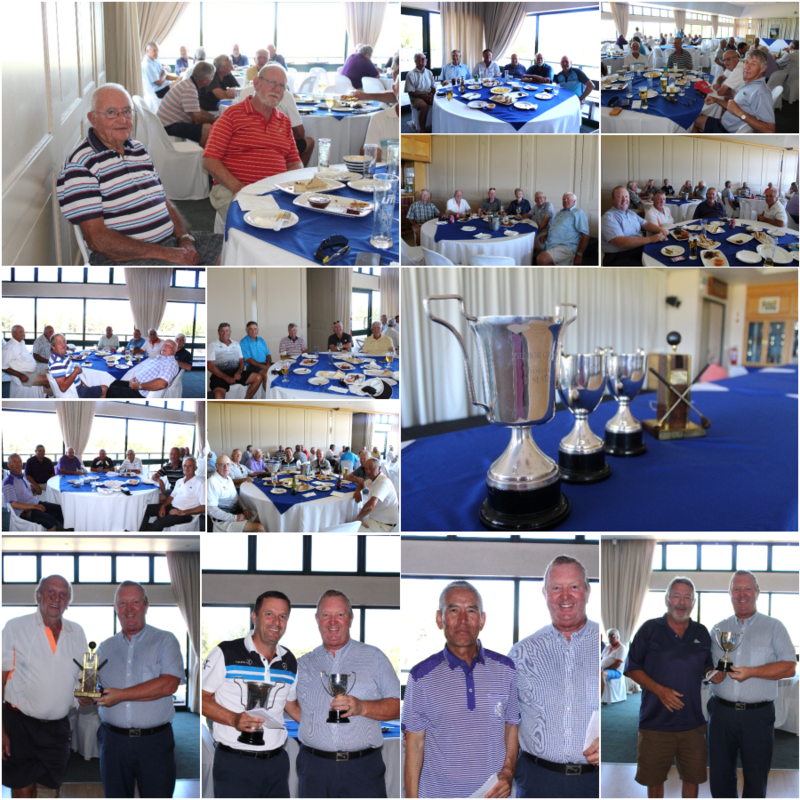 The annual Seniors' Club Championships were staged over three consecutive Mondays during February with over 80 players taking part, concluding with a well attended prize giving and extensive snacks. The A Division play Medal and both the Gross and Nett winner was Deon Minnaar. After two almost faultless opening rounds of 74 and 70, he found himself in an unassailable position, notwithstanding being rushed to hospital three days before the final round for a stent to be inserted! Runner up was Suart Palanduz, who recently joined the Club from Bellville, with a former winner Anton du Toit coming third. The A Division Nett Prize Winners (those not amongst the top three gross) were TJ Lee, Pieter van Wyk and Colin Montgomery. The B and C Divisions both play a Stableford Competition. The B Division winner was John Ekermans, followed by Russ Russell and Tony Corriea. The C Division was won by JJ Wilson closely followed by the past Seniors Captain Bob Taylor whose game in recent weeks has taken on a new lease of life. Special thanks go to Heather Robertson and Nancy Grabham for the patient and diligent help with the score recording as well as the Pro Shop staff for their assistance in running the event. The Seniors League team have their 2018 season under way with two matches in the past month. With very much a new look team of pairings after a disappointing 2017 season, the first match was at the end of January against a strong Strand team at a very parched Parow Golf Club. After taking an early 2-1 lead, the team was overhauled in the final two matches to go down 3-2. There was a good win for Greg Baxter and Neil Rix whilst Bob Rees and Gerald Muller salvaged a well deserved half after being dormie two down. Gordon Simmons and Mike Rolfe also earned an excellent half in a ding dong match against the Strand top pairing. Malcolm Young and Jan Erasmus, who had swept all before them in the Seniors Match Play Better Ball, were pipped on the 18th green, whilst another new pairing of Peter Seward and Bert Vos were outgunned by two long hitters. This week, with just one enforced change due to injury, the second match took place at Bellville against Somerset West, resulting in a resounding 4-1 victory. Gerald Muller and Bob Rees led the way with a 2 up win, but immediately behind them the strong pair of Greg Baxter and Neil Rix came unstuck, going down 3&2. Gordon Simmons and his new partner Allan Kearsey teamed up superbly to win 5&3 whilst Peter Seward and Bert Vos sunk birdies at the 16th and 17th holes to turn what was looking like a narrow defeat into a great 2&1 win. At the back of the field, Malcolm Young and Jan Erasmus won 9&7 against a one player team, one member of the opposition not turning. All in all, a solid start to the League season. With a Bye next month, a pause before we renew our campaign in April. 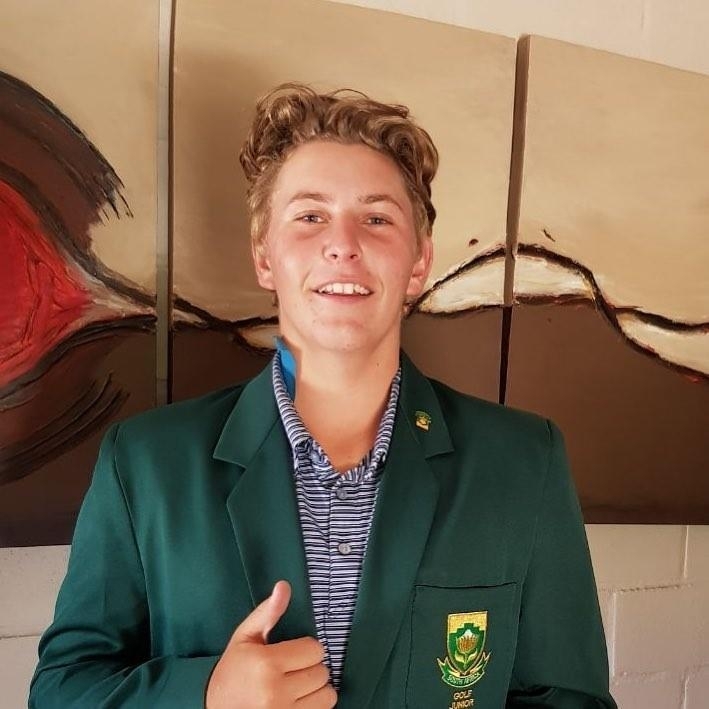 CAPE TOWN, 3 February 2018 - GolfRSA named seven of South Africa’s leading juniors to the two teams that will defend the country’s Girls and Boys titles in the 2018 All-Africa Junior Golf Championship from 6 - 9 March in Morocco. 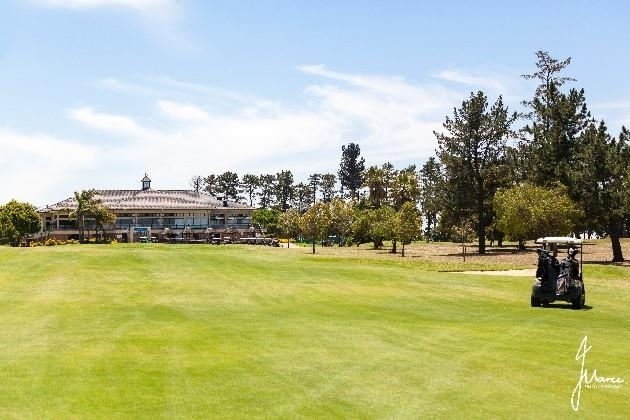 The 72-hole championship, which annually draws the cream of junior golf across the African continent, will be contested at the Royal Dar Es Salam Golf Course in Rabat. “The South African Boys teams have a very proud record in this world-class tournament with 19 consecutive victories since 1994,” said GolfRSA CEO Grant Hepburn. Historically, the winners of the All-Africa Junior Golf Championship qualified for the Toyota Junior Golf World Cup in Japan. With the inclusion of a Girls Competition in this team event, the African Golf Confederation (AGC) introduced a Girls Competition in last year’s All-Africa Junior Golf Championship and the two competitions were played simultaneously for the first time last year. Our first SA Girls team was Kajal Mistry, Kaleigh Telfer and Symone Henriques, who guaranteed a double celebration for South Africa with a convincing victory in Zimbabwe. Kajal also shot two course records in four rounds at Royal Harare Golf Club to lift the Girls Individual title. Womens Golf South Africa President Sally Greasley confirmed that Mistry – the country’s top ranked senior and number two ranked junior – will return for duty alongside fellow Gauteng golfer Henriques, while Caitlyn Macnab from Ekurhuleni will make her first appearance for South Africa. “We have chosen the most in-form trio to fly the flag for South Africa in Morocco,” said Greasley. 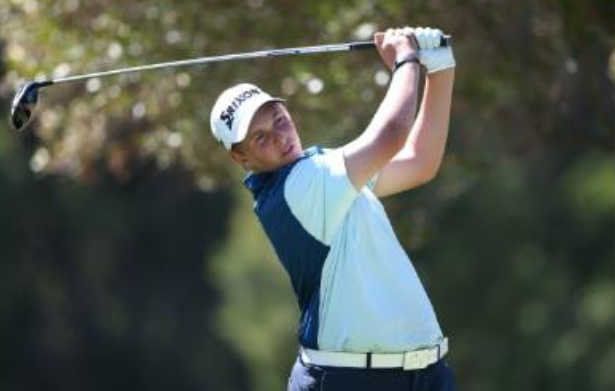 The South African Golf Association (SAGA) named 2017 Reply Italian U-16 champion Martin Vorster from Southern Cape, Werner Deyzel from Gauteng North and Western Province duo Ayden Senger and reigning Southern Cape Open champion Deon Germishuys to hunt down South Africa’s 20th successive title. 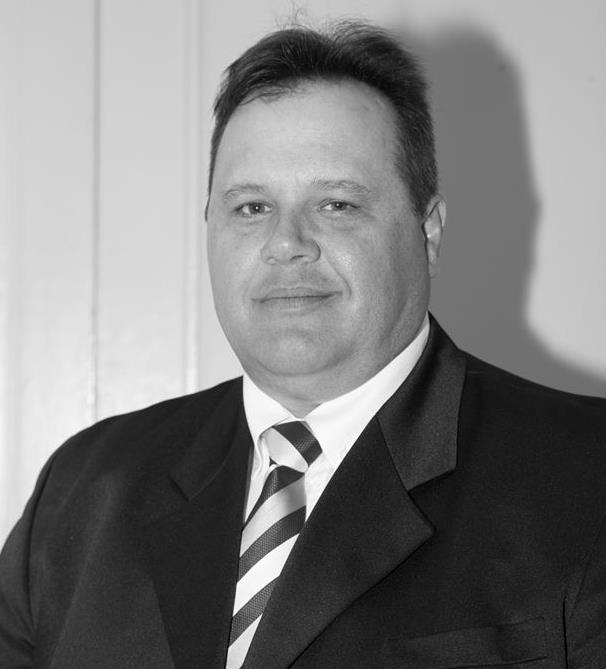 “The All-Africa Junior Golf Championship represents a very exciting opportunity for us to give juniors on the rise a chance to test themselves against the top talents from Africa,” said SAGA President Geoff Taylor. 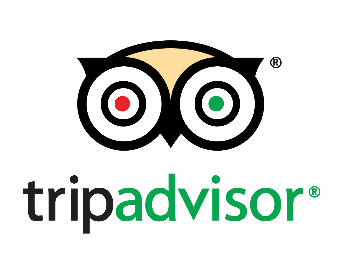 Greasley will accompany the SA Girls teams and GolfRSA Manager Golf Operations Eden Thompson will travel with the SA Boys team. 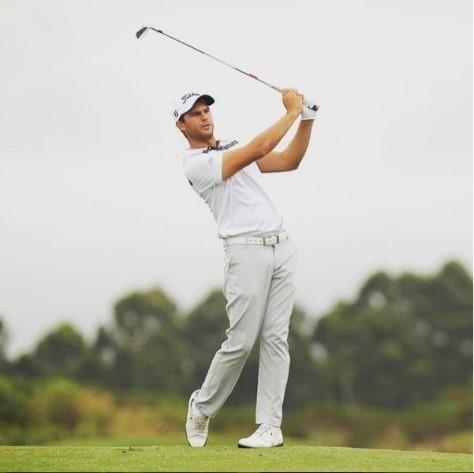 The All-Africa Junior Golf Championship is integral to the AGC’s efforts to promote the sport at grassroots level and SAGA Vice-President Naadir Agherdien, in his capacity as the Vice-President South, will also travel to Morocco, as well as GolfRSA National Squad sport psychologist Theo Bezuidenhout will also make the trip to Morocco. of results and for achieving 2nd Place in the Dimension Data Pro Am. 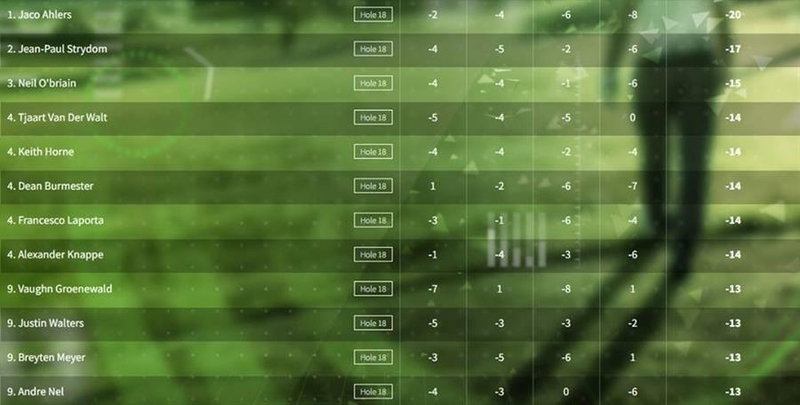 17 under par is definitely something to be proud of. 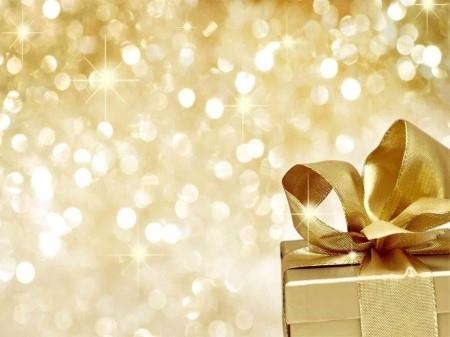 We look forward for you to continue your success and are behind you every step of the way! PLEASE NOTE: In order to contribute to the water saving, our showers will be switched off until further notice. We thank you, in advance, for working with us to save as much water as possible! 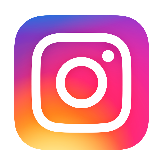 CLICK HERE for water saving tips to avoid Day zero. I have often noticed Mbali practicing on a Saturday afternoon after work or seen him playing golf on a Sunday. He approached me about 6 weeks ago wanting to know if I knew if a shaft was broken or not. I asked how old the clubs were and we figured they were close to 10-15 years old. I told him not to stress I would see what I could find. 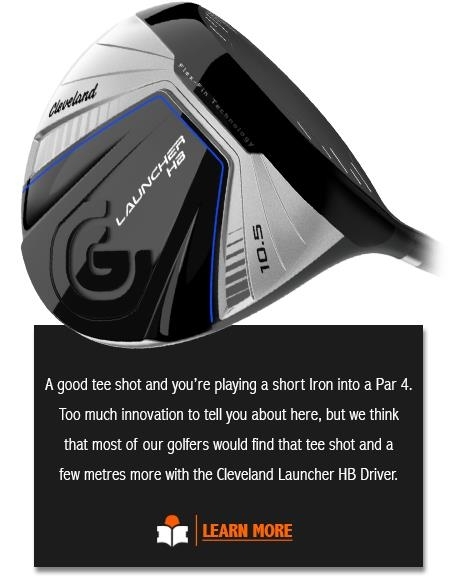 After discussions with Lana and Shane Rea at Golf Science, we found a solution. 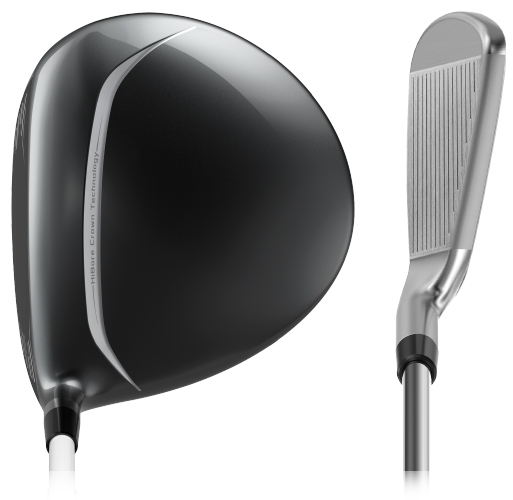 Pure Motion would pay for labour and Golf Science would supply newer shafts. Shane also very kindly found 2 extra clubheads that were missing from the set from the start. 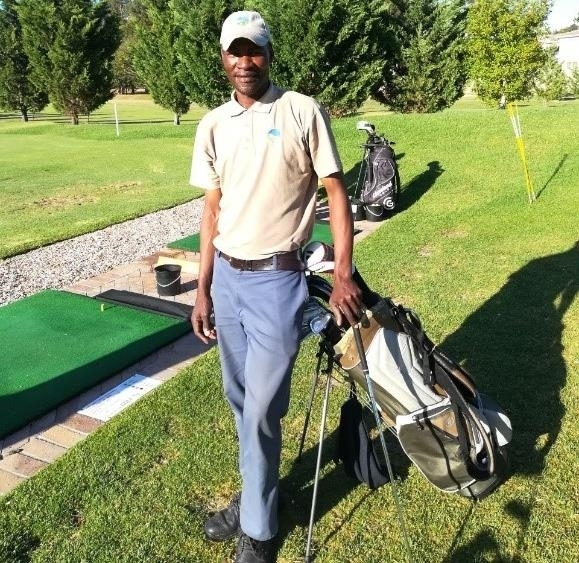 Mbali is a keen golfer and has a lot of potential he can now unlock. He has always been working on the course and it was a dream of his to one day be able to grow his own talent at this wonderful game. Thank you to all who have supported and encouraged this. We look forward to seeing this act of generosity bless Mbali. CONTACT US to book a lesson. We have hats on sale in assorted colours! Be sure to visit the DGC ProShop and try on the latest fashion! Try out our eye-catching golf clubs available in the Pro Shop! 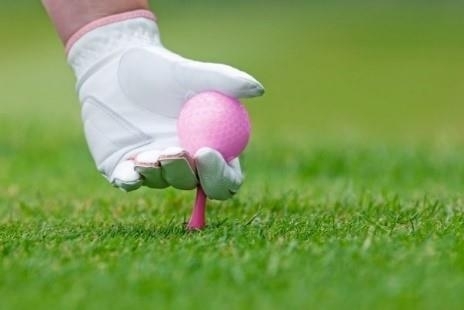 We have a large range of golf balls available for every type of golfer. Here are our top three sellers! Hendrik Weber, Miranda Cocklyn, Jo-Marie Harris, Anthony Julius, Elaine McAlister, Wilhelm Sohnge, Roelf van der Merwe, Heinrich Bisschoff, Lauren Latimer, Nola Macedo, Tshifhiwa Ratombo, Ross Mackay, Sone Schoeman, Ronel Steenkamp, Len Becker, Eduan Milner, Morne Pentz, Christiaan Theron, Jacques van der Merwe, Gerrit van Wyk, Andre Wannenburg, Allen Cornish, Herman Spangenberg, Hye Young Kwag, Eugene Barnard, Athol Beeforth, Won Bae Ro, Jaco Gouws, Heidi Johnson, Cheryl Murphy, Allan Taylor, Brian Walsh, Pieter de Lange, Morne Dormehl, Paul McKenzie, Kyle Hanekom, Liezel Prins, John Leach, George October, Luzelle Booyens, Maretha Coetzee, Jaco de Vos, Van Niekerk Laubscher, James Sales, Sarah Thom, Gerrit Blom, Ferdinand Jacobs, Francois Joubert, Sinead Stark, Carin Stewart, Enslin Williams, Louis Botha, Christo Brand, Julie-Ann Faro, Mike Buttner, Kent Byren, Edwin Denham, Pamela Jones, Marius Kriel, Japie Nortier, Suzette Adams, Elizabeth Brink, Elizabeth de Gouveia, Jean-Pierre de Klerk, Jan du Plessis, Ursula MacKay, Hanri van Wyk. allowing them to experience the real joy of a good golf shot more often. Where would your game most benefit from an improvement? tee shots into good scores? Why not start with an assessment with us? Have we inspired those of you shooting above 90, to target 89 or less on every occasion this year? Most 3-putts have, at their root, a poor first putt. Sometimes it’s a poor read. Sometimes, poor contact. But mostly, less experienced golfers suffer with poor control of speed and distance. it should also leave you with a little thought: an easier 2nd putt. Every golfer can become a wizard of the greens. There are skills that everyone can learn. 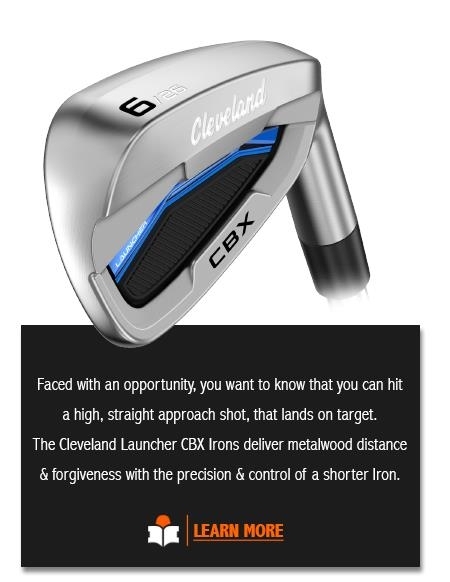 You’ll be amazed at the impact it will have on your scorecard.